ADDIS ABABA (AA) – Gates was awarded the degree by Ethiopian Prime Minister Hailemariam Desalegn in the Nelson Mandella Hall in the University in honor of his philanthropic work in Africa under the Bill and Melinda Foundation. In his acceptance speech, Gates said that he is optimistic about the future of the African continent. "Africa's emphasis on health and agriculture is absolutely right," he said. He also spoke about Ethiopia, saying that the Horn of Africa country has made strong improvement both in agriculture and health "that puts the foundation for further development." "Ethiopia has made strong improvement both in agriculture and health and that puts the foundation for further development,” he said. Ethiopia, according to Gates, achieved that "despite limited resources." Desalegn, for his part, hailed Gates' role in accelerating development in Africa. "The premise by which you established this foundation that all lives have equal value no matter where they relate or situated is also the principle of my government," he told Gates. The Ethiopian premier also thanked the American tycoon for his philanthropic work in Ethiopia. "Years before other companies focused on corporate philanthropy, you encouraged Microsoft and its employees to use technology to empower people, and to give back to their communities," Desalegn said. AAU President Admasu Tsegaye said that since 1983, Microsoft and its employees have contributed more than $6.5billion in cash, services, and software to nonprofits around the world. 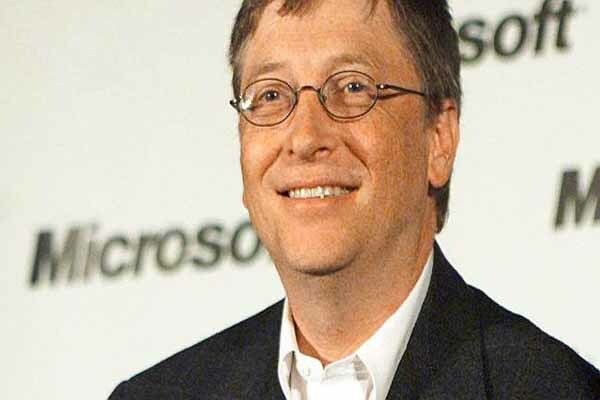 Gates is an American tycoon and philanthropist, who stood first and second in the list of the world's richest persons during the last ten years. This year, with over $79 billion, he stands second in the list. Over the past 15 years, the Bill & Melinda Foundation has been involved in health interventions, especially in the fight against HIV/AIDS, Tuberculosis and Malaria as well as in the provision of basic medical services to rural communities across Africa. The Foundation's Ethiopia Office undertakes programs in different areas including, family planning, maternal health, HIV, malaria, polio, and vaccination services. The Foundation made its first program investment in Ethiopia in 2000. On February 27, 2012, the foundation appointed an Ethiopian native to serve as the Foundation’s first representative to Ethiopia. So far, Gates has received eight honorary degrees from different universities of the world.